Once upon a time, in an era known as the Jazz Age, there were 12 lovely young women who had the temerity not to be born boys. Their father, a cold and strict man, shuts his embarrassing excess of daughters away in their rich mansion, an ivory tower that doubles as gilded cage. By day, they go nowhere and see no one. 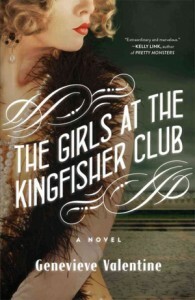 But at night, the girls secretly sneak out of their prison and escape into the speakeasies of 1920s New York City, a glittering, romantic world where they can dance until dawn. But now, even that fleeting freedom is coming to an end, for their father has begun to suspect their duplicity and is determined to get his daughters all quickly and respectably ensconced with husbands. The girls understandably fear the kind of men who would want a sheltered bride with no knowledge of the outside world, and dread simply exchanging one captivity for another. Jo, the eldest sister, has charged herself from the first with the responsibility of keeping them all safe and secret on their covert nighttime excursions, and she’s determined to save her sisters from this insidious new threat, even if it means sacrificing her own chances at happiness. 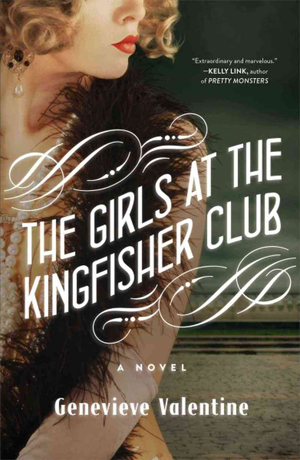 “The Girls at the Kingfisher Club” is an innovative retelling of a European fairy tale transferred to a particularly exciting time in American history, when social consciousness was rising with the hemlines. The old-fashioned world their father embodies contrasts strongly with the racially and economically diverse kaleidoscope of the underground dance clubs where the girls hone their hard-won autonomy through everything from broken hearts to police raids. Valentine admirably manages to portray each of the dozen sisters as a recognizable individual, with her own personality and desires, while still making them feel like a real and loving family.